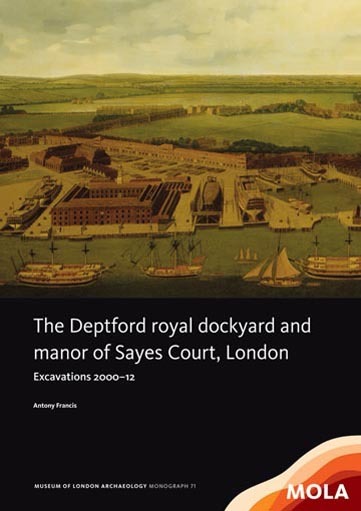 The largest-ever excavation of a naval dockyard revealed storehouses, docks, slipways, cover buildings, mast ponds, a smithy and other structures. These remains are integrated with maps and documents to chart the yard’s development, from its opening in the early 16th century to its closure in 1869. Countless ships – among them the Mary Rose and Golden Hinde – were built, repaired or stored here, and the dockyard saw visits by royalty, including Peter the Great, and many others, notably the 17th-century diarists Samuel Pepys (of the Navy Board) and John Evelyn (whose home was Sayes Court), and the 19th-century engineer John Rennie.